Have you ever wondered how hair extensions actually work? 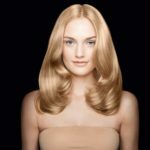 You may be surprised to know that it is actually a very simple process to add hair extensions to our clients existing hair. Watch this video from Balmain that shows you how quick and simple their Double Hair system is. If you would like to come in for a free consultation regarding hair extensions, simply fill in the form to book a free consultation now.